As another year of driving to the fishing hole kicks into gear it’s once again time to kick out some more jams. Top 10 Trip Tunes comes your way with five tomorrow and five today. 9. 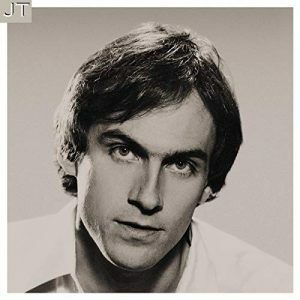 Handy Man – James Taylor (1977) – Honestly didn’t know this one was a remake until the DJ on the oldies show told me after the song. Actually checked out the original 1960 version from Jimmy Jones which features a completely different tempo. Still prefer Taylor’s version as it’s the one I grew up on although never would be mistaken for a handy man with “pencil or rule” or otherwise. 8. 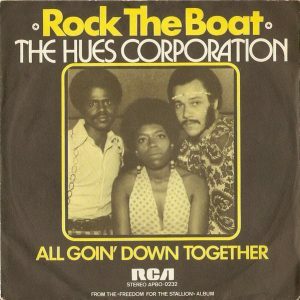 Rock The Boat – The Hues Corporation (1974) – Before my MTV days there was something called AM radio and it played music instead of endless banter. And 1974 is about as far back as I can recall recognizing then current Top 40 hits on the airwaves such as this summertime #1 smash. 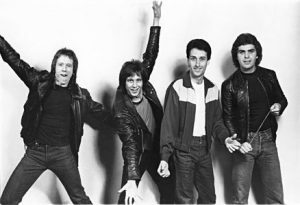 And what a summer it was with the likes of “Band on the Run”, “Billy Don’t be a Hero”, “Sundown” and “The Night Chicago Died” also topping the Billboard chart. 7. 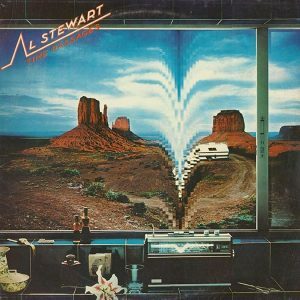 Time Passages – Al Stewart (1978) – What can you say? Easy Listening at its finest complete with a double dose of solos, guitar and sax. And how about the added bonus of a fishing lyric as Al notes that “it’s just now and then that my line gets cast into these time passages.” One mark of a good tune for me is when 6:40 passes by in the blink of an eye and this one does just that. 6. 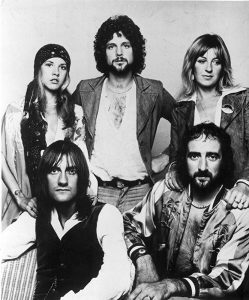 Landslide – Fleetwood Mac (1976) – Sparse in composition but heavy on the heart and mind. I always marvel at how some of those “oldies” become new again when seen through the eyes of experience. “And I’m getting older too” delivered via a twenty something Stevie Nicks is a winner. Always amazed at the prescience of such songwriters crooning about “changing ocean tides”, ”seasons of my life” and “reflection” way ahead of their time.